The accomplishments and the citations are ridiculous. In our first blog about Robert “The Edison of Medicine” Langer, we noted the more than 1,200 patents, and that he’s the most quoted engineer the world has ever known. He also happens to run the largest biomedical engineering lab in the world, with more than 100 researchers plugging away. And it’s served as an incubator for 40 companies. Bottom line, that’s a lot of people and ego under one roof – all of which begs the question, what does this guy know about people, assembling teams and launching a business? Especially in such a high-octane environment that is very much entrepreneurial. We covered a lot of ground, namely because I wanted to pick his brains on a bunch of things. A great team who want to make a difference. In Langer’s world, the development of the technology or product has to be fairly advanced before he’ll look to launch a business and seek investors. It’s about surviving the Valley of Death, that is, securing the capital needed to succeed. Again falling back on the for most of us caveat, surviving the Valley of Death is having enough runway to grow organically. Still, his above template should be considered for sure. You hear over and over how important a good team is, well, as you can imagine, Langer doesn’t want just good people, he wants great people. But you’ll see what’s more important is how he treats his people. “I am probably nit picky about who comes into the lab,” he said. 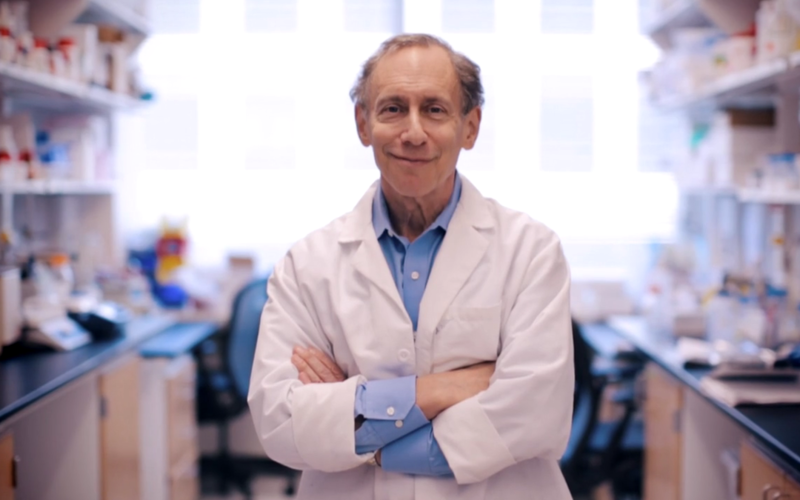 “But once in lab, while not quite like a son or family but not that far from it, I’d do anything for them.” When you read articles about Langer that happen to quote his underlings and colleagues, you find out that’s not lip service. Langer went on to explain, “I don’t want them in over their head, I want them in a position where their chances of succeeding are as good as possible, and where the people around them are as supportive as possible.” He goes a step further and makes it clear that his people can count on him and his extensive network for support, especially if they encounter problems. It is like family. As far as being nitpicky, yes, Langer wants great people, but at the same time he wants “nice people” who get along with others and communicate well. It’s also well known he’s willing to take chances on people, people with unusual resumes who don’t fit the mold – kind of like himself. He wants a heterogeneous team to offer different insights and to tackle problems from different perspectives. These research labs, whether academics or corporate, can be absolutely micromanaged. And we’ve all heard of entrepreneurs who are Type A micromanagers too. But here Langer separates himself by recognizing that it’s truly a team effort. He empowers his people. He wants everyone to feel that they have value and they can speak up. Rather than dictate what they should be doing, he prefers to show them the possibilities and let them tackle what interests them, to follow their passion. His lab has been called an egalitarian and open culture. He gives individuals meaning, he empowers them –that’s the kind of existential we’re looking for. Turnover isn’t a bad thing either, in fact Langer embraces it, because that means you have fresh sets of eyes looking at opportunities and problems. Think about, in a lab with undergrads, grads, post-docs, faculty, etc., turnover is a natural progression. For entrepreneurs, if you bring in some go-getters, chances are they too will strike out for bigger opportunities, but this is an opportunity for you to bring in fresh ideas. So don’t sweat turnover. These are recurring sources of friction through the ages, right? There should be simple solutions, right? Nope. “There are no rules,” Langer said, when it comes to dealing with this. “You see things and try to give advice, like say, ‘Put yourself in the other person’s position.’” He simply concluded, “Empathy is a good thing.” Unfortunately, empathy is not a simple thing. Think about it, how prevalent is it in the human code when it’s survival of the fittest? And can empathy be taught? That’s a whole ‘nuther story for another time. Self-awareness factors into empathy, so I asked Langer if some of these research types might be so wrapped up into their task-driven work that they generally lack self-awareness. Yeah, I was stereotyping. “So much depends on the person,” Langer responded as he reflected on his own experiences. “Some people are just so much more self-aware.” He made it clear that he doesn’t believe it’s more prevalent among scientists, it’s a personality thing. Mulling it over, he added, “You want to be self aware but then you also need to have that strong belief in what you’re doing, too, to be a good executive.” In other words, sometimes strong opinions can give the impression that you’re not self-aware nor empathetic. Langer knows a little about hard work, the guy used to pull 70 to 80 hour weeks all the time. Work was his identity, he said. At the time, all he did outside of work was a little magic, as in magic tricks. Once married with children, he did his best to be home by 7pm each night, and they bought a place on Cape Cod for weekend R&R. From his talk with other entrepreneurs, he knows managing family life is a “huge” issue. Langer also exercises a lot – as much as two hours a day at his peak – has for 30 some years. But not to blow off steam. His dad died of a heart attack, which put the scare in him. Regardless of the motivating factors, at age 69 the guy is fit as a fiddle and seems pretty damn content. When Langer tells you he just wants to do good in the world and make people happy, you have to believe him.